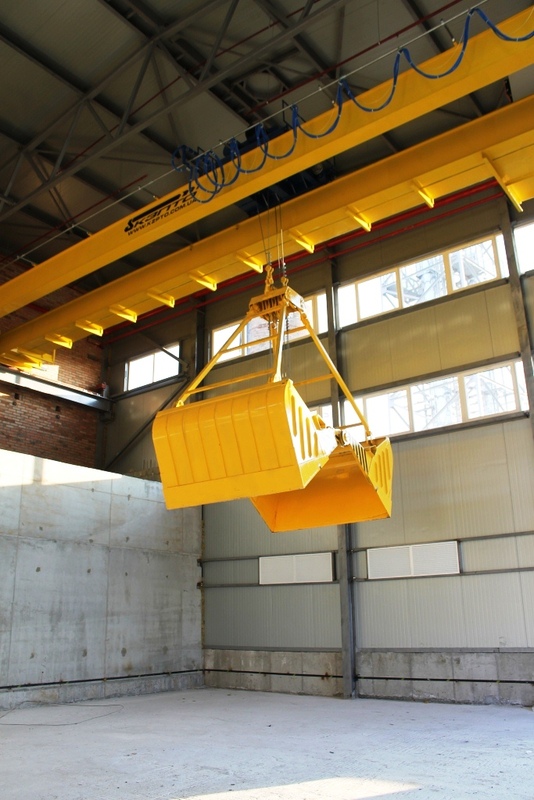 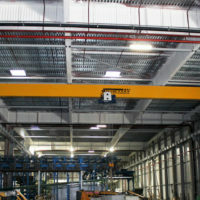 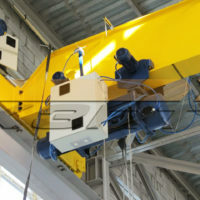 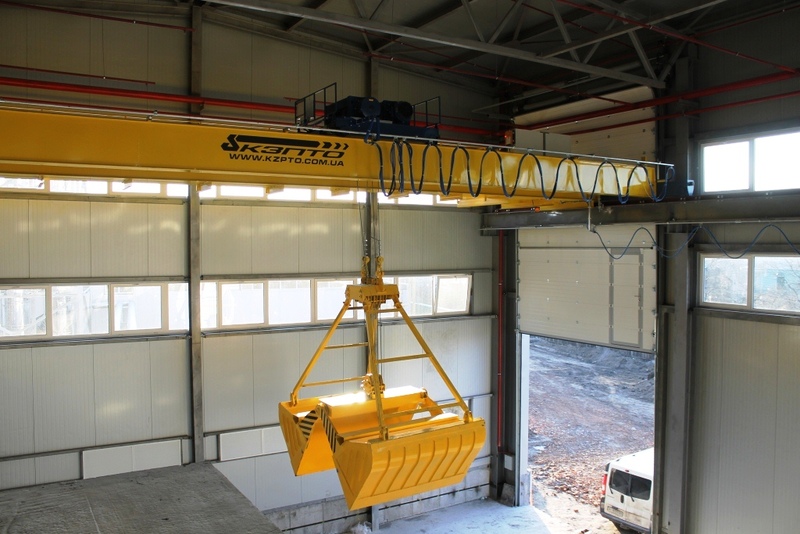 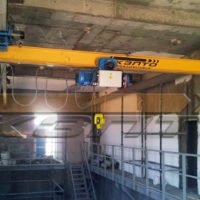 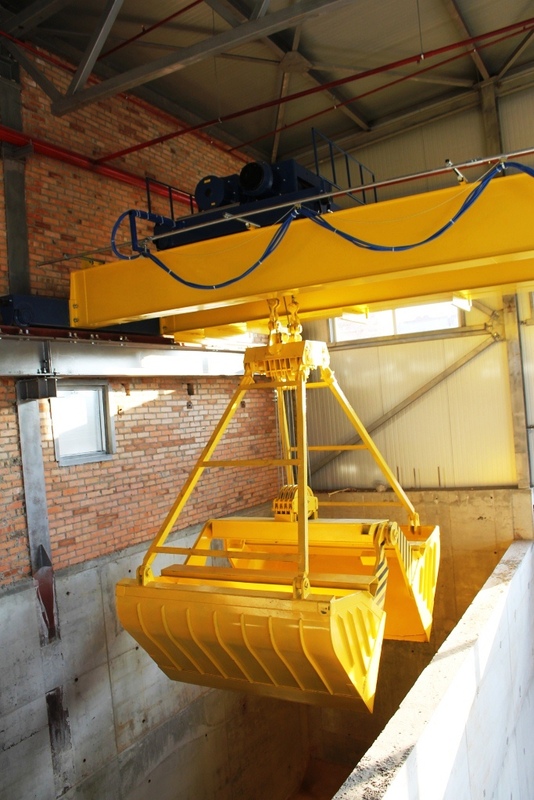 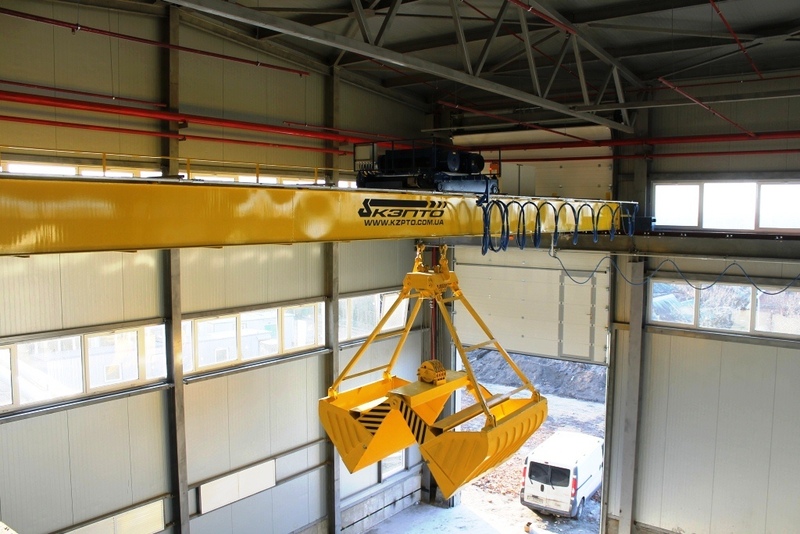 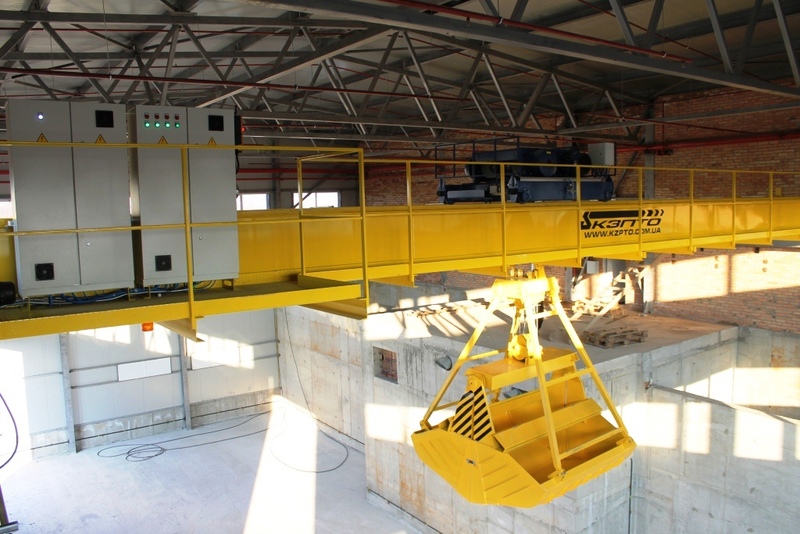 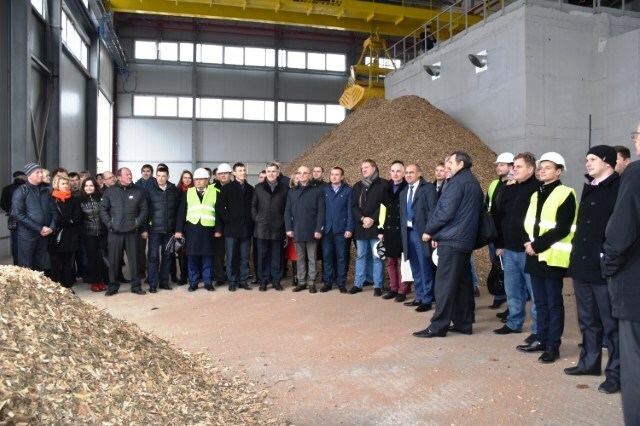 To ensure a smooth lifting and lowering, circuit grab and move the trolley and crane specialists «Kyiv Crane Machinery Plant LLC» were applied frequency converters brand Schneider Electric (France) c braking resistors. 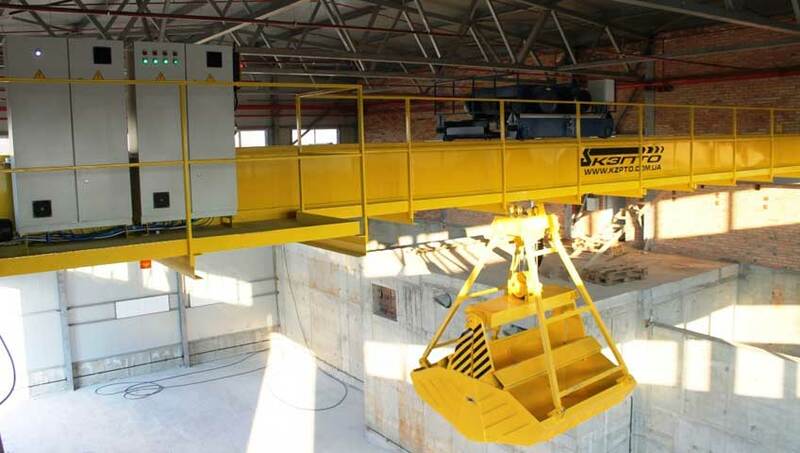 The use of frequency inverters excluded load sway and significantly reduced the load on the crane steel structure and mechanical equipment. 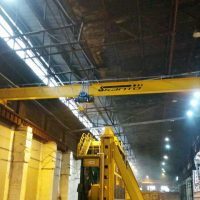 Thanks to detailed outage installation and commissioning took place in the shortest possible time. 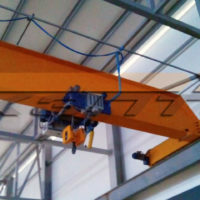 Statistical and dynamic tests confirmed the reliability of the bridge crane grab BCg-5,0-16,7-7,0-A7. 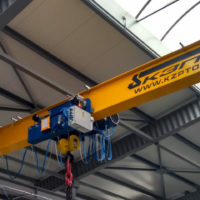 Crane put into use, has been registered and delivered to the customer.